Many Māori were quick to answer the call to arms when war broke out in September 1939. In October, in response to calls from Sir Āpirana Ngata and the other Māori MPs for an all-Māori unit, the government agreed to the formation of the 28th (Māori) Battalion. Unlike the Māori Pioneer Battalion that served on the Western Front in the First World War, which was mainly engaged in trench-digging and support tasks, the 28th Māori Battalion was to be a frontline infantry unit. Composed of volunteers, it would be additional to the nine New Zealand infantry battalions already being formed for 2NZEF. The Battalion was organised along tribal lines (see map), but to the disappointment of many Māori, Pākehā regular army officers were initially appointed to key positions. Its first commander was Major George Dittmer. Selected officers and NCOs began training at Trentham in November, and the Battalion first assembled at Palmerston North on 26 January 1940. 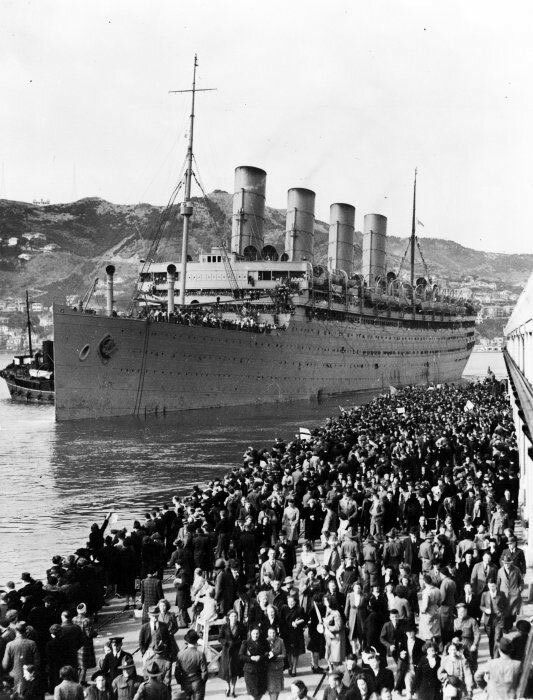 On 2 May 1940, after three months of training, the Māori Battalion's main body of 681 men sailed from Wellington with the 2nd Echelon of 2NZEF aboard the famous luxury liner Aquitania. After being joined by other troop ships in Australian ports, the convoy sailed for Egypt, where New Zealand's 1st Echelon had already established its base. But on 15 May, four days after leaving Fremantle, the ships were diverted to South Africa - intelligence reports suggested that Italy was about to declare war on the Allies and potentially blockade the Red Sea. After reaching Cape Town on 26 May 1940, the Aquitania anchored at a nearby naval base. The Pākehā troops were soon given shore leave, but due to South Africa's policies of racial segregation, the men of the Māori Battalion were kept on the ship for four days. As frustration mounted, they were eventually taken to a luncheon hosted by the Mayoress of Cape Town and given less than an hour to see the city. They were warned to be on their best behaviour, but were warmly welcomed by the local population. The convoy left South Africa on 31 May 1940, now bound for the United Kingdom. Following the evacuation from Dunkirk and the fall of France, Britain was facing the real prospect of German invasion. 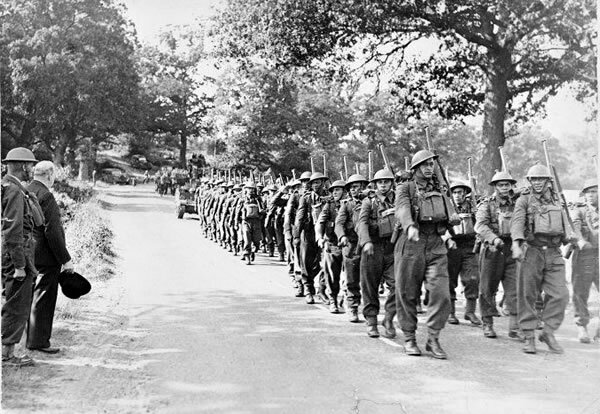 After arriving at Gourock, Scotland, on 16 June, the Māori Battalion was deployed to southern England, where it spent the dramatic days of the Battle of Britain training and preparing defences. It suffered its first fatal casualty in September 1940, when a dispatch rider was killed in a night-time road accident. After six months in the UK, the 2nd Echelon left for the Middle East. Sailing around Africa again, it arrived in Egypt on 3 March 1941. At Helwan Camp the 28th Battalion was bolstered by around 300 Māori reinforcements from New Zealand. More than a year after first entering camp, the Battalion was itching to get at the enemy. That chance would come in Greece.